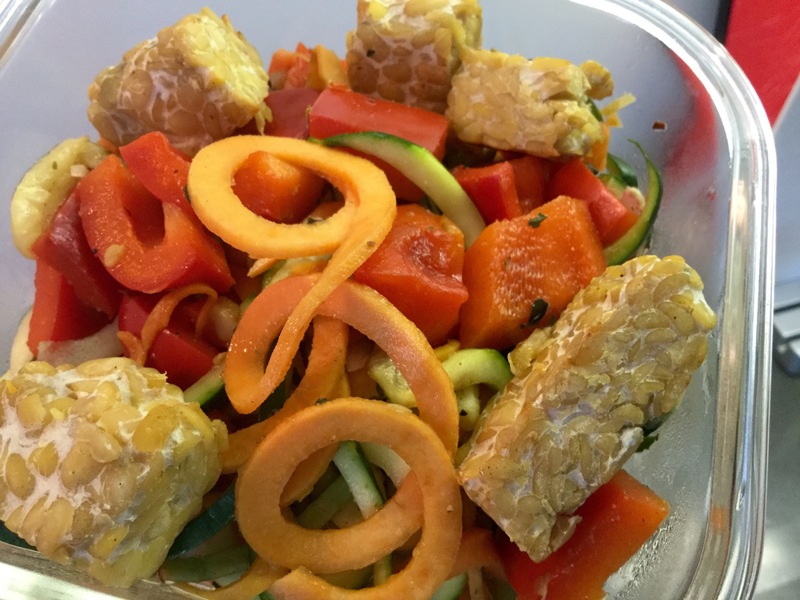 Savory Tempeh with Sweet Potato and Zuccini Noodles! Both a feast to the eyes and the tastebuds! 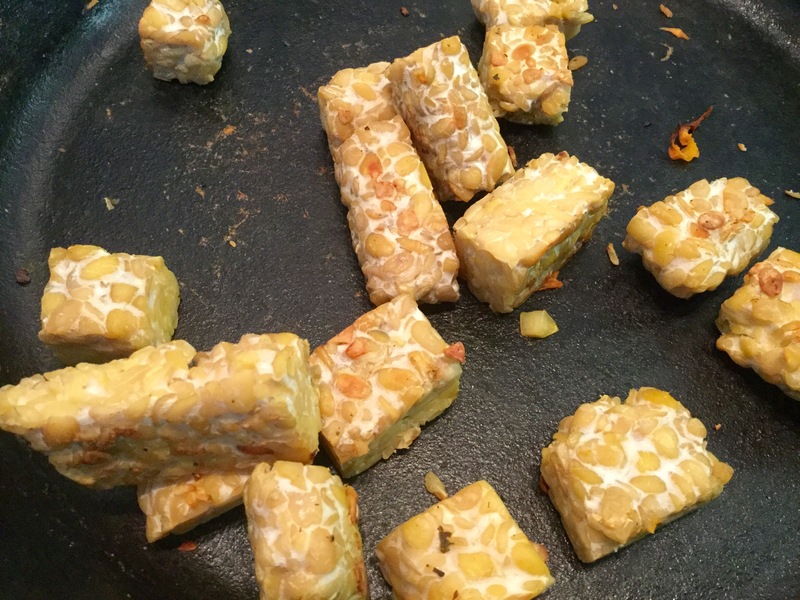 I enjoy the bumpy and dense texture of tempeh, lightly fermented soybeans pressed into a cube shape. 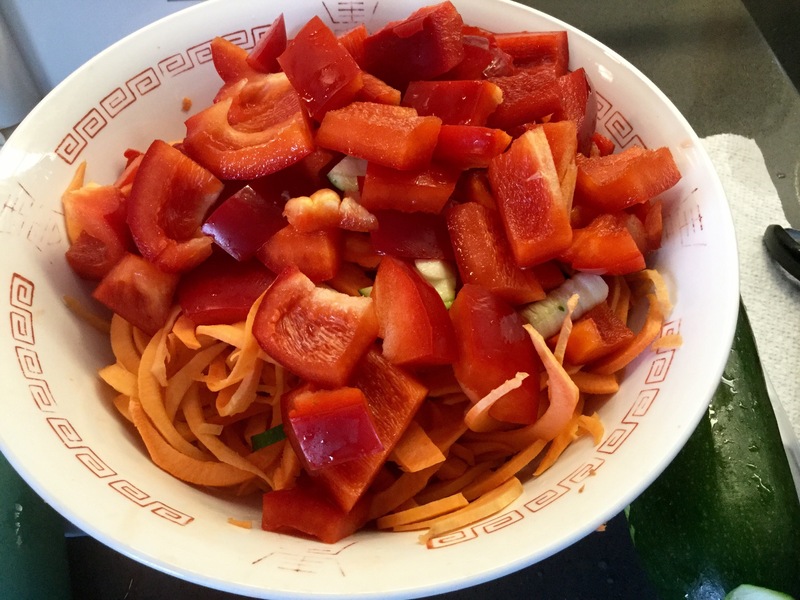 Works well for stir fry and when you feel super hungry and need something to really sink you teeth into! 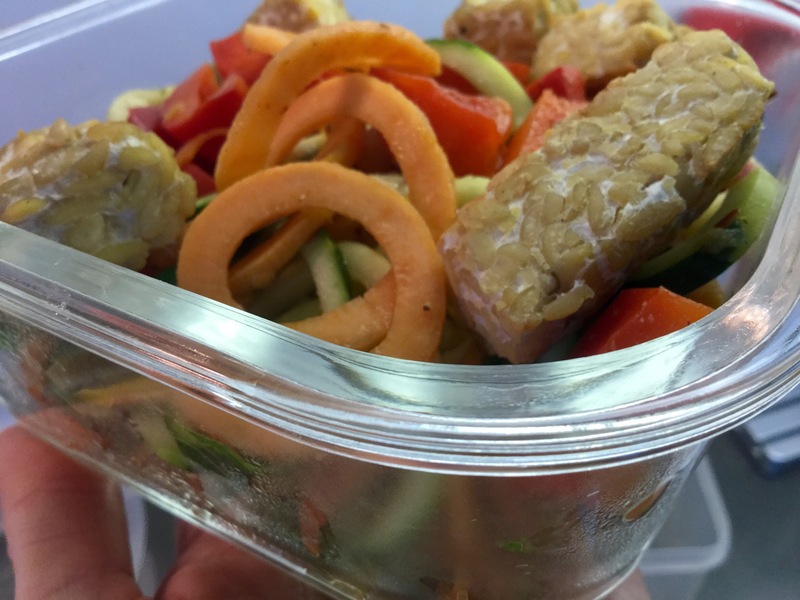 To save time and add some crunch, I baked my tempeh first before adding to the stir fry. This recipe requires very few ingredients but they are very colorful ones. Add spices to taste! I love the vibrant colors and array of textures in this recipe! 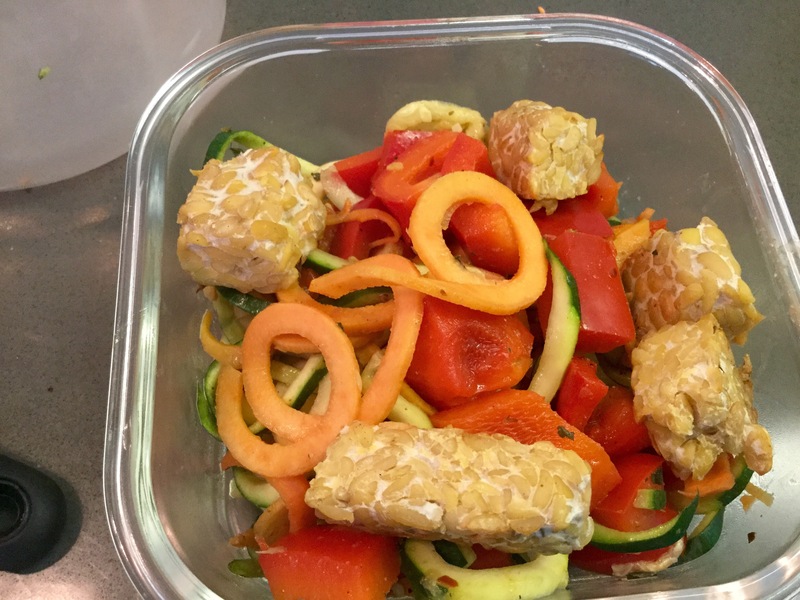 Simply cut tempeh into cubes, I made mine about 1 x 2 inch cubes. Bake in preheated oven at 375F for 10minutes. 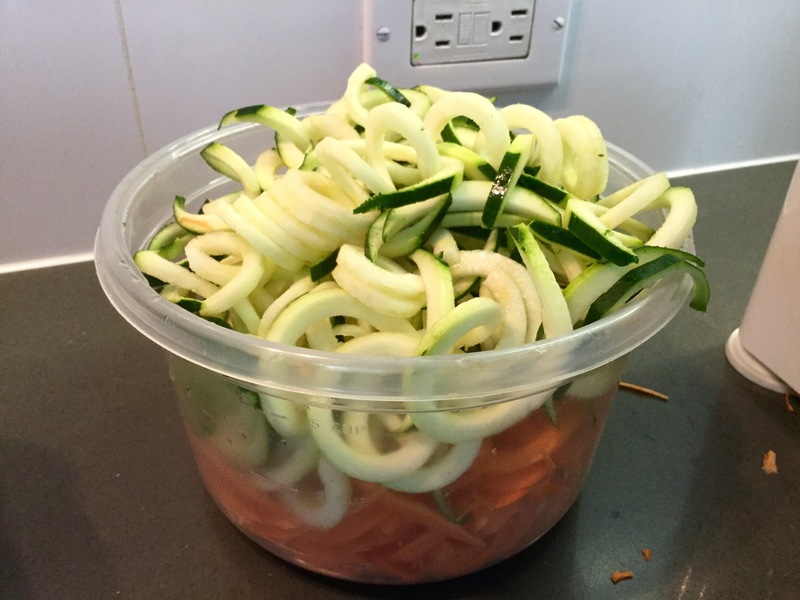 Meanwhile spiralize your zucchini/sweet potato. 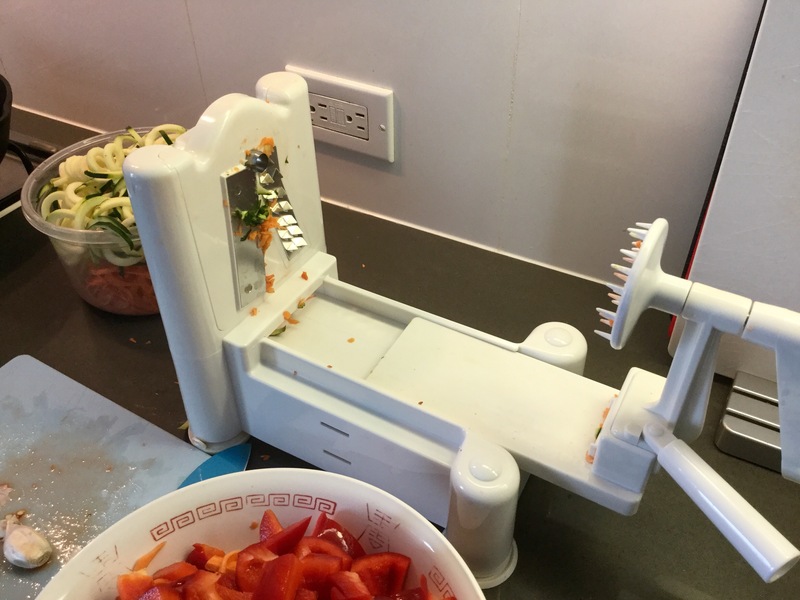 If you don’t have a spiralizer, I recommend you get one, it is about $20 on Amazon and lets you make noodles out of veggies, awesome. Alternatively, you could either grate or julienne the potato/zucchini. Heat pan to medium high heat, using non-stick pan or some non-stick spray. Saute garlic, tempeh, and sweet potato noodles for about 5 minutes. 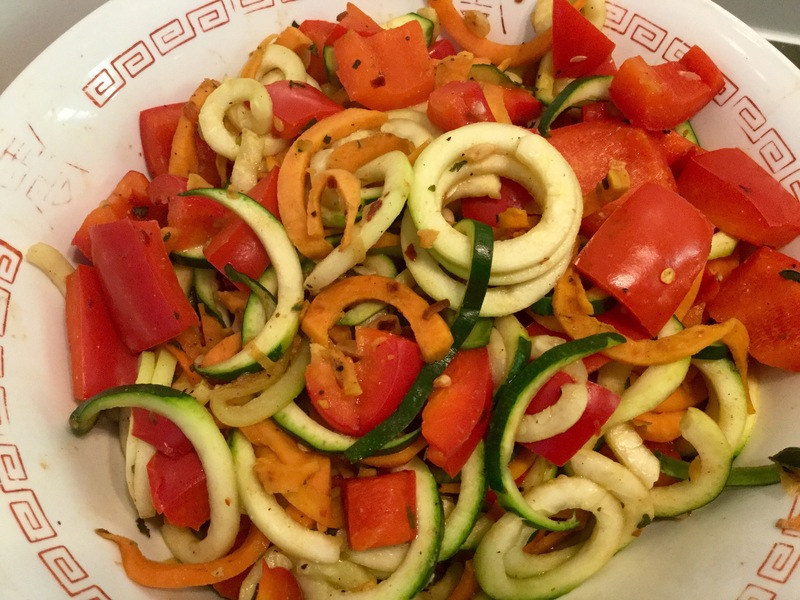 Next add your zucchini noodles, red bell pepper, sautéing another 5 minutes or so, or until your noodles reach desired tenderness. I like them somewhat soft but not soggy. Lastly mix in your spices and stir until well incorporated and fragrant. Serve immediately and enjoy!